These props have black emitter nozzles, as was standard for Type-2 phasers since the early days of Star Trek: The Next Generation. Before production began on Star Trek: Nemesis, these were replaced with phasers that featured nozzles made from (or painted as) polished aluminum. 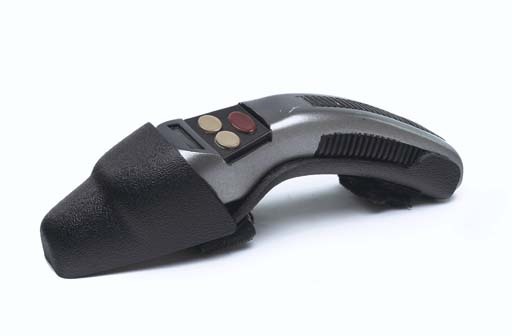 Please note this lot is comprised of one Type-2 phaser, made of cast resin with holster clip, and does not include a stunt version as stated in the catalogue.